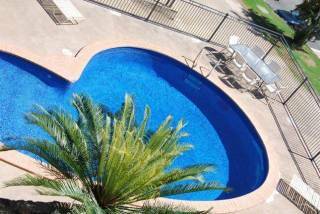 Accommodation in the Whitsundays & Mackay, QLD region. Book holiday houses and apartments for rent or browse towns for accommodation. 50 properties found in this region. Airlie Beach is best known for being the gateway to the Whitsundays, Queensland’s pristine islands in the tropical waters of the Coral Sea. The opportunities for exploring the region are endless. Highly recommended is by sailboat where you can set your own pace and cruise through the islands exploring the pure white silica sands of Whitehaven Beach and Hill Inlet or drop anchor for a swim and snorkel. Fly in a seaplane and enjoy the views of the reef from up above. Paddle with a sea kayak through the crystal clear waters. Take a drive or rent a scooter and explore the beachfront communities winding along the jagged coastline with breathtaking views of the distant Whitsunday islands. Or follow a bushwalking trail overlooking the Coral Sea. For a more relaxing schedule visit the Airlie Beach Lagoon, a manmade saltwater swimming area soaking up the sun or sip away on a cocktail. Dine at many of the waterfront alfresco restaurants where fresh seafood dominates the menu or party into the night at the various bars and nightclubs. Airline Beach is the perfect place to experience the Great Barrier Reef and its surrounding islands, with fine food and relaxation assured. 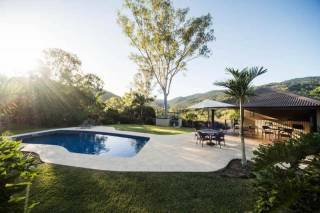 located midway between Brisbane and Cairns and includes 200 kilometres of coastline. Showing 1-69 out of 69 places found in this region. Pamper yourself in the contemporary splendour of a Seclude Villa and enjoy all that the resort and local area has to offer. Bring your own food or if you would prefer, add items from our Dining Menu and we will have them ready for your arrival. 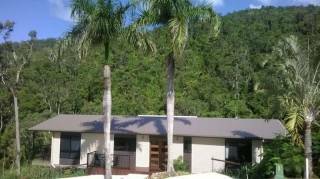 Clean, spacious, totally private and one of the best value per head per night accommodation in the Whitsundays. Kookaburra Lodge is perched high among the trees and surrounded by Conway National Park. Your stay here will be a truly memorable one. 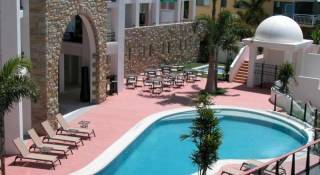 Great apartments with Ocean views, Studio, 1 bedroom, 2 bedroom and 3 bedrooms. 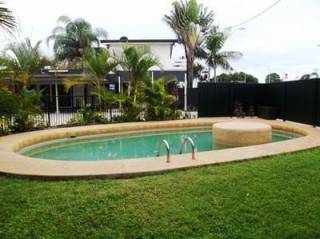 A Quiet, yet GREAT CENTRAL LOCATION, only metres from the beach, lagoon pool, shops and restaurants of central Airlie Beach. 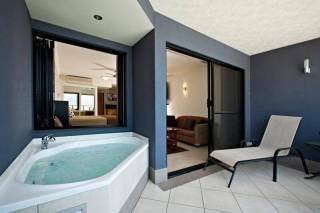 For exciting Airlie Beach accommodation, look no further than Boathaven Spa Resort. 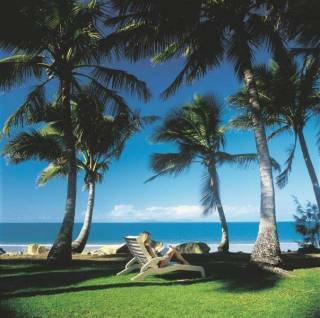 We are located just 250m from the town of Airlie Beach, on the Whitsunday Coast. Marina Shores features a contemporary theme with gently curving forms ensuring wide frontages to complement its absolute waterfront setting. 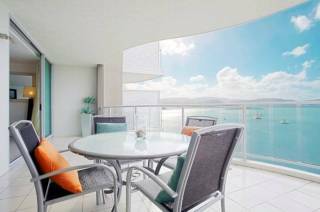 Marina Shores absolute waterfront living is positioned in a prestigious oceanfront location in Airlie Beach. at Waterfront Whitsunday Retreat sets new standards of luxury award winning couples only boutique accommodation in the Whitsundays. 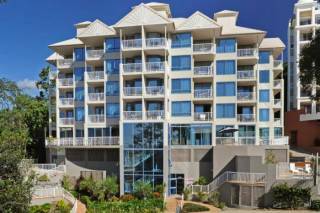 Water's Edge Resort apartments in Airlie Beach, are quietly nestled in the hillside amongst lush tropical gardens, 100 metres from the centre of the bustling cosmopolitan village of Airlie Beach. 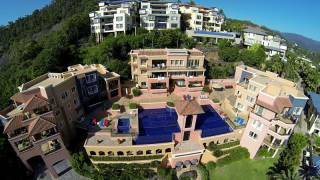 Luxury Whitsundays accommodation awaits you at Mediterranean Resorts. This premiere holiday destination is perfect for visitors seeking the quintessential Whitsunday and Great Barrier Reef holiday experience. 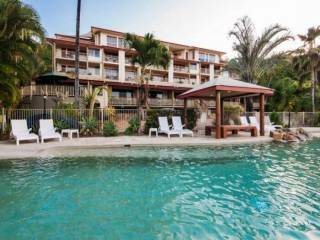 Comfort Resort Blue Pacific is a quiet 4 Star self-catering Apartments with beach frontage offering guests spacious studios, one, two and three bedroom villas and townhouses set in lush tropical gardens on the beautiful Northern Beaches of Mackay. 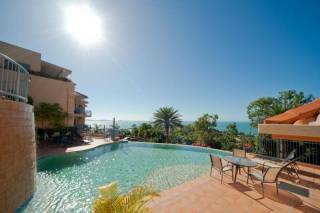 Beachfront, fully self contained spacious holiday apartments at Blacks Beach, Mackay. 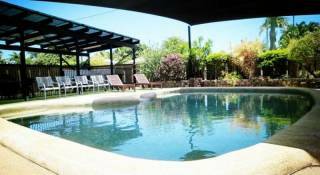 Ideal for short term stays and those needing more permanent fully furnished accommodation. 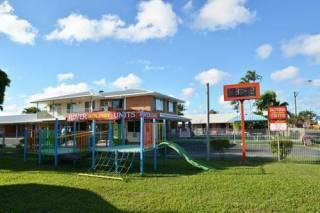 Cool Palms is the closest motel to Mackay city centre. Not only is it centrally located but it's also the best value too. All rooms are air conditioned and come with fridge, microwave, tea and coffee making facilities, free Wi Fi and Foxtel. The friendly staff at Mackay Motor Inn invite you to come and experience our clean comfortable accommodation. From the moment you check in you'll appreciate the warm and friendly welcome you receive. Displaying 1-20 of 50 results.